If you have been hurt in a car crash, an incident of medical malpractice, or another accident caused by someone else’s negligence, you may be entitled to compensation for your harm. At Burgos & Burgos, our Maryland personal injury lawyers can meticulously evaluate the facts of your case and provide you with an honest assessment of your claim. We have helped people throughout Montgomery and Prince George's Counties, as well as residents of Washington, D.C., seek the compensation and justice that they deserve by aggressively pursuing defendants and their insurers. Everyone on our staff speaks Spanish fluently. 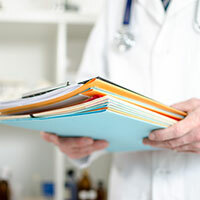 Unfortunately, medical malpractice is more common than you may think. In fact, studies show that medical mistakes are the third-leading cause of deaths in the United States, behind heart disease and cancer. If you have been injured by a medical professional, you may be able to recover compensation through a medical malpractice claim. In Maryland, medical malpractice takes place when a medical professional directly causes an injury or death by failing to adhere to the standard of care expected of a reasonably prudent medical professional in the same specialty under the same or similar circumstances. If medical malpractice can be established, an injured patient or their family can seek a variety of damages, including medical expenses, rehabilitation costs, lost wages, and any other losses stemming from the malpractice. 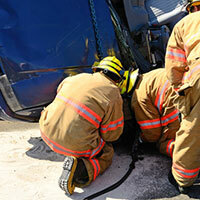 Motor vehicle accidents are a leading cause of injury in the United States. Each driver has a duty to obey traffic laws and drive safely in order to minimize the risk of accidents. If you or someone close to you has been injured in a car accident caused by someone else’s negligence, you may be able to recover compensation for any of the resulting harm. A person would be considered negligent if they failed to use reasonable care while driving, and that failure was the direct cause of the accident and the victim’s resulting injuries. Reasonable care is defined as how a prudent person would act in the same or similar circumstances. According to the Occupational Safety and Health Administration, about 4,836 workers died on the job in 2015. 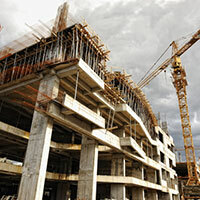 Almost a quarter of these deaths were in the construction industry, which is not uncommon for any given year. While construction accidents can happen in a number of ways, the top four causes of fatalities in the construction industry are falls, electrocutions, struck-by-objects, and caught-in/between objects. Generally, a person injured on the job will be able to seek compensation for their harm through workers’ compensation benefits. However, depending on the specific facts of the case, an injured worker may also be able to pursue compensation through a lawsuit against a third party like an equipment manufacturer. Premises liability refers to a legal concept that requires property owners and managers to make sure that their property is in a reasonably safe condition. Under Maryland law, a property owner’s duty to a visitor will vary depending on the visitor’s status on the property. Visitors can be categorized in one of three ways: invitees, licensees, or trespassers. Premises liability cases can be complex and depend heavily on the facts and circumstances of the individual case. Our Maryland personal injury attorneys can examine your situation and determine the viability of your claim. Wrongful death is a claim against a person or entity that can be held liable for an untimely death because of their negligence. These cases can result from car accidents, truck crashes, motorcycle accidents, medical malpractice, and other events. It is important to note that only certain surviving family members have the right to file a wrongful death claim in Maryland. These family members typically include a surviving spouse, child, or parent of a victim. If a wrongful death is established, the surviving family members can recover damages, such as medical expenses incurred prior to the decedent’s death, funeral and burial costs, pain and suffering, loss of companionship, and more. Workers’ compensation is a type of insurance that pays monetary benefits, such as medical costs and lost wages, to Maryland workers who become injured, ill, or disabled in a workplace accident, or due to an occupational disease. Like other states, Maryland has a no-fault system, which means that an injured employee does not need to show fault in order to receive benefits. Employees who are accidentally injured while working, or who suffer an occupational disease will be eligible for benefits. The quantity of the benefits will depend on whether the disability is temporary or permanent and whether it is total or partial. If you have been injured in an accident that was caused by someone else’s negligence, you need to reach out to a skilled Maryland attorney as soon as possible. We can analyze the facts of your case and help you understand your rights. At Burgos & Burgos, we are committed to helping you secure the compensation that you deserve for your harm. We proudly represent injured residents of Silver Spring, Takoma Park, Wheaton-Glenmont, Hyattsville, and other areas of Montgomery and Prince George's Counties, as well as Washington, D.C. For a free consultation, call us at (301) 681-1111 or contact us online.